Strobe Light for your car. Fast! 2 flashes per second! Ultra-bright PlasmaGlow Xenon Krypton Strobe Lights are just what you need need to add incredible lighting effects to your car! Mount them anywhere on, in or under your car for the ultimate 2-flashes per second effect to dazzle the competition. Simple 2-wire installation works with any 12-Volt power source, and can be mounted almost anywhere! 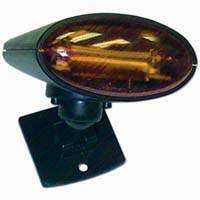 Xenon Krypton strobe lights are backed up with the PlasmaGlow Liftime Warranty. $29.99USDOn Special! This week only! Hurry! Strobe Light- Back to Home Page.